Hardware troubleshooting is the process of reviewing, diagnosing and identifying operational or technical problems within a hardware device or equipment. It aims to resolve physical and/or logical problems and issues within a computing hardware. Hardware troubleshooting processes primarily aim to resolve mobile hardware problems using a systematic approach. The process starts by first identifying the problem and finding different issues that can cause such a problem and eventually leading to implementing a solution or alternative. Now, here is the basic procedure to repair a mobile phone step by step on hardware troubleshooting. Different mobile phones have different circuits designs and components. First thing to be familiar with is, how each circuit components or parts are mounted, connected, assembled or designed in your mobile. TOOLKIT:To repair any mobile you need a toolkit to open the casing of the mobile. MULTI TESTER:We need a multi tester to actually see if the component is damaged or there is a short circuit. parts with a heat gun(or soldering machine). 1. Visualization Checkup : Before proceeding to anything always consider the fact that a mobile phone handset is fragile object. Take a look of the handset and layout which will help you identify if the handset is in repairable condition for example, checking the printed circuit board components and parts, if it is free from dust,corrosion, bended,breakage etc. 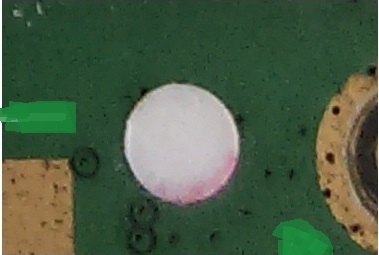 The internal circuit has capacitors and resistors and also the SIM IC. 2. Know the Phones Status : Know the phones history before opening it. Knowing the phones history like accidentally dropping the mobile in water etc will help you get an idea where to start or begin with. 3. Analyze The Circuit : After dismantling the handset, take your time, analyze the whole circuit layout, and plan a procedure of where and how to begin with. A Special Operation Procedure is good and reliable. Its very difficult to detect any internal circuitry failure in the mobile(which can happen for example if the mobile gets into water) as the mobile has a pcb which has internal connections. We can only replace a component on the pcb,if found faulty. Now lets see how to find if a microphone is faulty or not. The steps shown below can be used to find any faulty component in a mobile and thus troubleshoot your mobile. 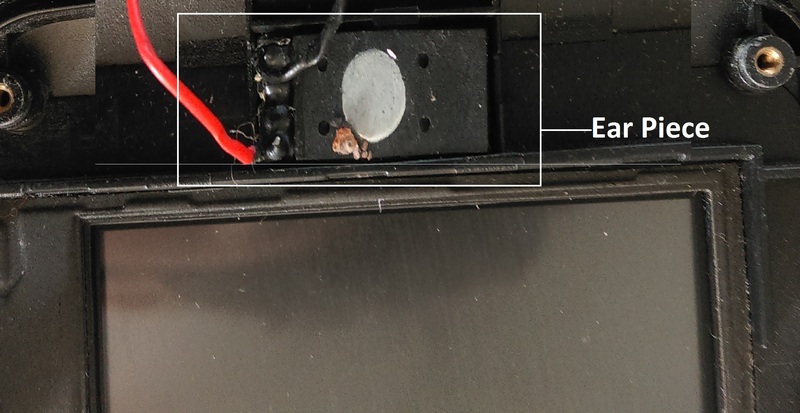 If a component is found faulty, that component needs to be replaced using a heat gun . 1.Dismantle the handset and locate the microphone on your PCB.See its connections on PCB. 2. Use a multi-tester and check for a short circuit, though this rarely happens. Set the tester to x1 resistance value. Connect the test probes to the microphone terminal pads, and then in opposite manner. If there is a short circuit both readings would be closer to zero ohms. If you find a fault here, you first need to unsolder the microphone, then replace it with the new microphone which is available in the market. 3. Next you check the closest component to the microphone.Trace the line paths between the first or the closest component connected to each terminal pads. 4.If you have an IC next to the microphone, you first need to remove the IC to check on that line, which will be done later at the last steps of procedure. 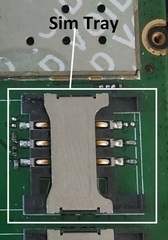 Next move on to the open lines and components where the test probe can connect with, such as the filter capacitors and coils (if present). Now connect or attach both probes at the end of each open line and check the components. 6. If all the above mentioned steps i.e checking the capacitors and resistors don’t give any errors, i.e are in good conditions then proceed to suspect the EMI-Filter(ie the IC mentioned in step 4) as faulty. Therefore remove it from the Printed circuit board(PCB) then do a line check up from the microphone terminal to that EMI-filter terminal bumps where it is connected. Just replace it with a new working IC. 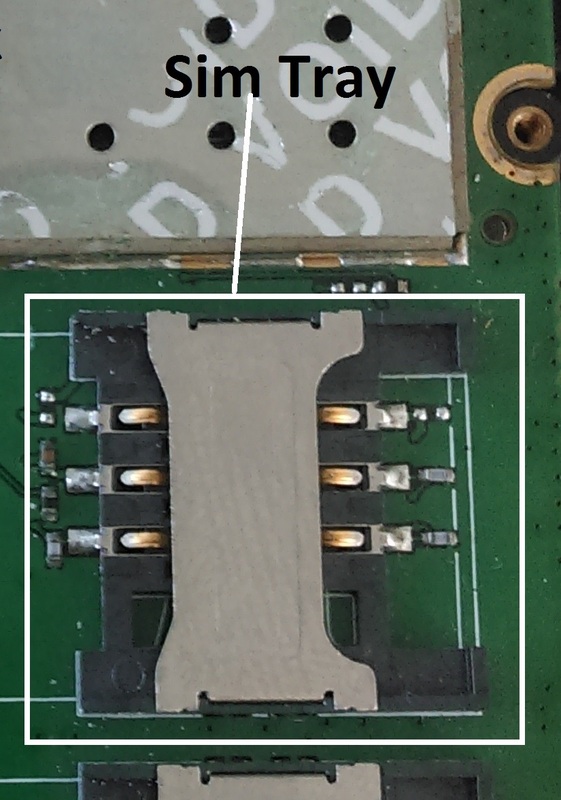 If the sim isn’t working properly then there is either a problem in the sim IC or the sim tray. supply at power jack . 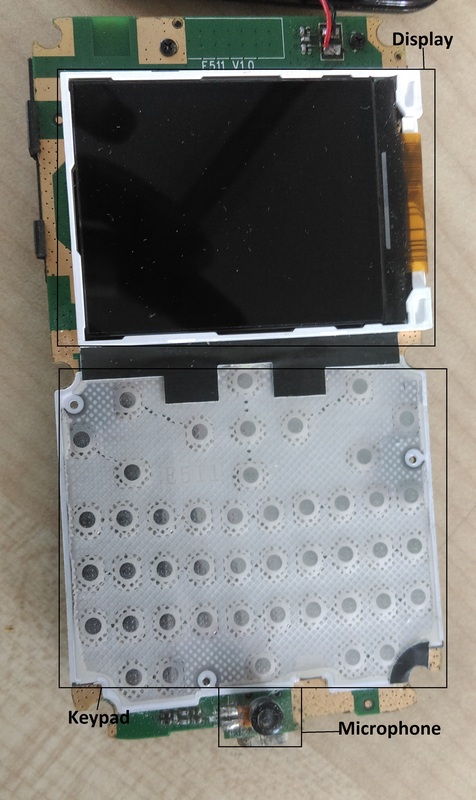 If the mobile display switches on then we need to replace the battery. which is beyond hardware troubleshooting. fault in the microphone)and replace those component on the pcb. If the audibility of the person on the other side is low, the speaker might be damaged and so that needs to be replaced with a new speaker. 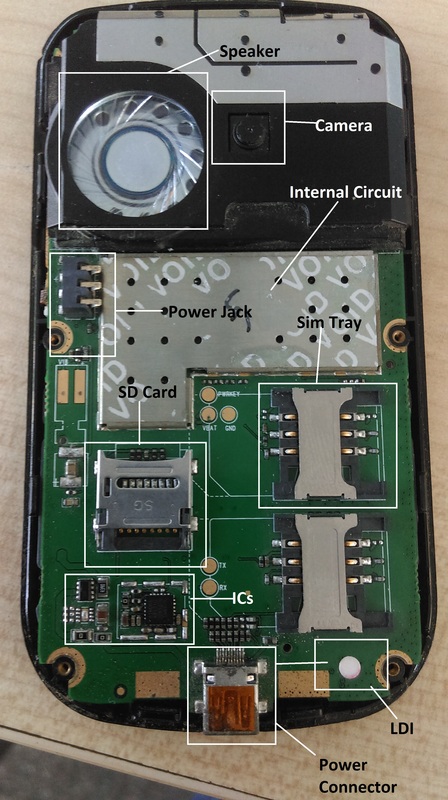 If the audibility of the ringtone is less, the speaker at the back of the phone which looks very much like a driver of any normal speaker needs to be replaced. Software troubleshooting is a systematic process that aims to filter out and resolve problems, and restore the software to normal operation. Verify you do not have a large amount of pictures, videos, applications, messages, call logs, or other files saved to the devices by checking the available memory. If your phone has less than 5% of available memory, the phone may respond slowly. Move any media files to a memory card or delete files to free up memory. Make sure you are not running multiple applications at the same time. Turn the phone off and then turn it on again. 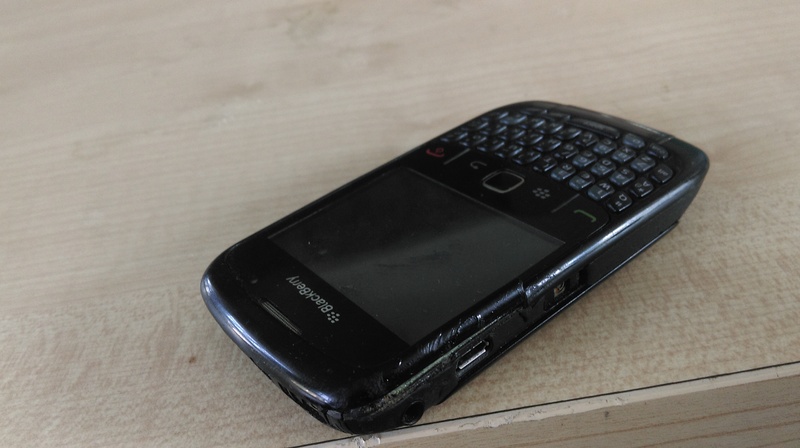 If the phone is frozen and cannot be turned off, remove and re-insert the battery and power on. Note: If you have a non removable battery such as in Moto G press the sound and power button together to force the mobile to reboot. Some other techniques can also be there in other mobiles to force reboot them. 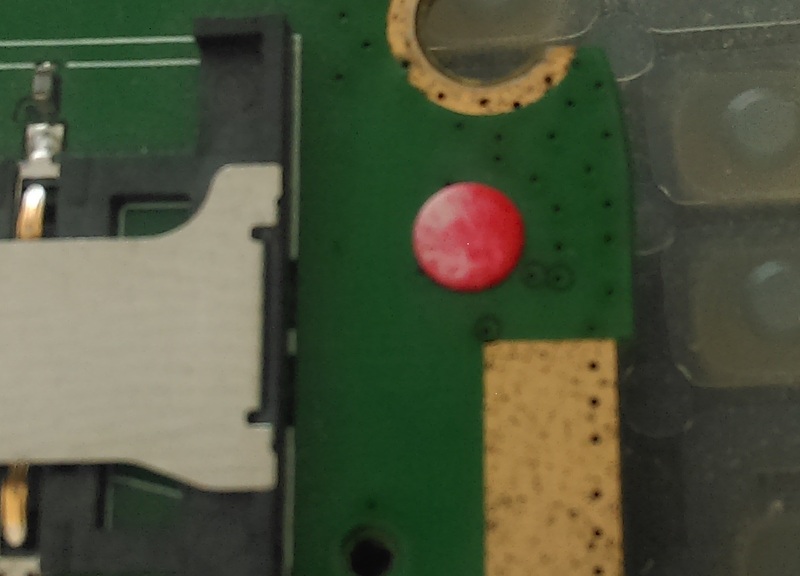 Remove the battery and check the Liquid Damage Indicator (LDI). Note : Liquid Damage Indicator is a small indicator that turns from white into the other color after contact with water. Those indicators are small stickers that are placed on several points within electronic devices like laptops and smartphones. If your phone shows signs of liquid or physical damage or the LDI is red,then the phone has been exposed to liquid damage and will not function properly. 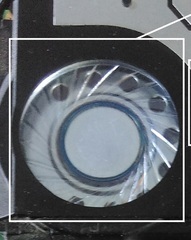 If the LDI is not red, go on to step 2. Reinsert the battery, turn the device on, and test the issue. Verify the device has sufficient storage memory available. If the issue only occurs when using a specific downloaded third-party applications, uninstall the third-party application. Ensure you are in an area where you have a good signal (2-3 bars). Note: Signal strength can be weakened when using your phone indoors or behind physical barriers. If possible, try making the call from outdoors or a different location. Check your Family Controls settings to ensure you are not calling blocked numbers. If dialing an international number or roaming internationally, check that you have enough funds in your Extras Pack to complete the call, and that your Extras Pack is not disabled. Make the call using the full 10-digit phone number. When the phone is done rebooting, try your call again.Try to call on different phone number. If this call goes through, then there may be an issue with the phone number you are dialing, rather than an issue with your service. If possible, test your SIM card in another Family Mobile phone.This will help determine if the problem is due to your SIM card or your phone.Try to make or receive a call. Contact Customer Service with the results of your troubleshooting. Important: When calling Customer Service, please use a different phone than your Family Mobile phone. This helps our Customer Service team complete full troubleshooting on your Family Mobile phone. Note: BlackBerry, and Sidekick devices cannot be used on the Family Mobile network for web usage and picture messaging at this time. Sometimes issues can be location-specific. Verify your signal strength, and try connecting from another location. If you are on the Unlimited Talk & Text plan, ensure that your Extras Pack is enabled. Ensure you are on the T-Mobile network by checking our coverage map.If roaming outside the domestic data coverage area, these features are unavailable. Important: When you contact Customer Service, please call from a different phone than your Family Mobile phone. This helps our Customer Service team complete full troubleshooting on your Family Mobile phone.